When you have sailed on submarines for most of your career, stepping outside of your comfort zone reveals many things about who you are. Most submariners have achieved a level of excellence that is demanded by the profession. You are operating a large ship that is designed to sink and do most of its work undetected. That requires each person to be multi-talented in addition to being subject matter experts. You may be cooking one minute and helping to put on a band-it patch the next. Your watch could be as routine as pumping water from one tank to another then suddenly shifting into a battle stations mode where multiple responses must be made in a split second with no time to analyze. In other words, you can get a little self-confident. If you get really cocky, you may just decide to take another path and become a Chief Warrant Officer. This program is designed for Chief Petty Officers who have no college degree but have a high degree of technical knowledge and advanced leadership skills. It has traditionally been highly selective and the billets are very limited. The year I was selected (FY 1989) there were only thirteen of us selected in my skill set out of a few thousand applicants. I knew life was going to be different since instead of having a small division of men to care for, I would now have larger groups of men and women on board a ship that was not a submarine. 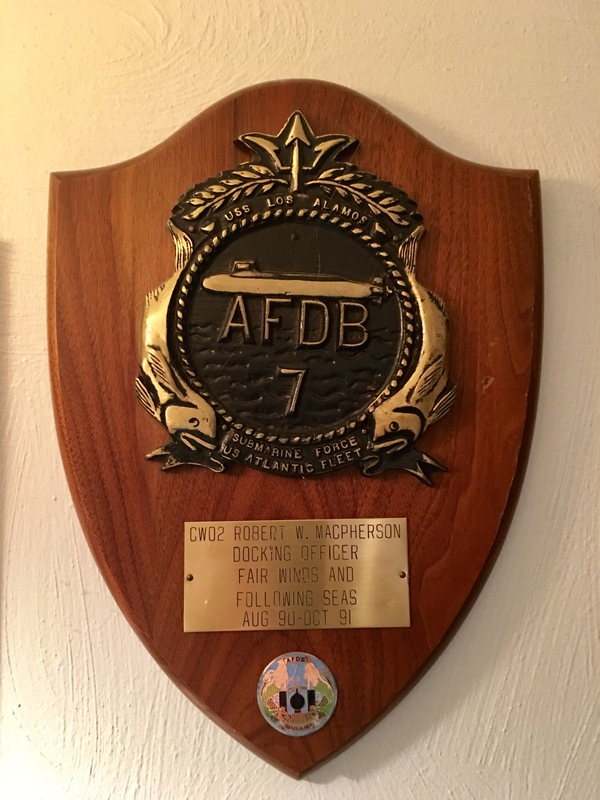 I had no idea how different until I crossed the bow of the USS Los Alamos (AFDB 7) a large four section drydock in Holy Loch Scotland. When you first see her up close, you are struck by the size of the thing and the new challenge you are about to face. Every ship and submarine is designed to sail the ocean with certain physical characteristics. But every ship and submarine also share one thing: they all need to come out of the water from time to time. When a ship is in the water, its hull is supported by the water that cradles it. Taking the water away means that all the weight will be shifted to another place and if it isn’t done properly, you could damage the ship itself or one of the many underwater components not visible when the ship is floating. Someone has to create the build. The Los Alamos was resurrected from a graveyard in Florida in the early 1960’s. She had been placed in storage at the end of World War 2 in the late 1940’s. 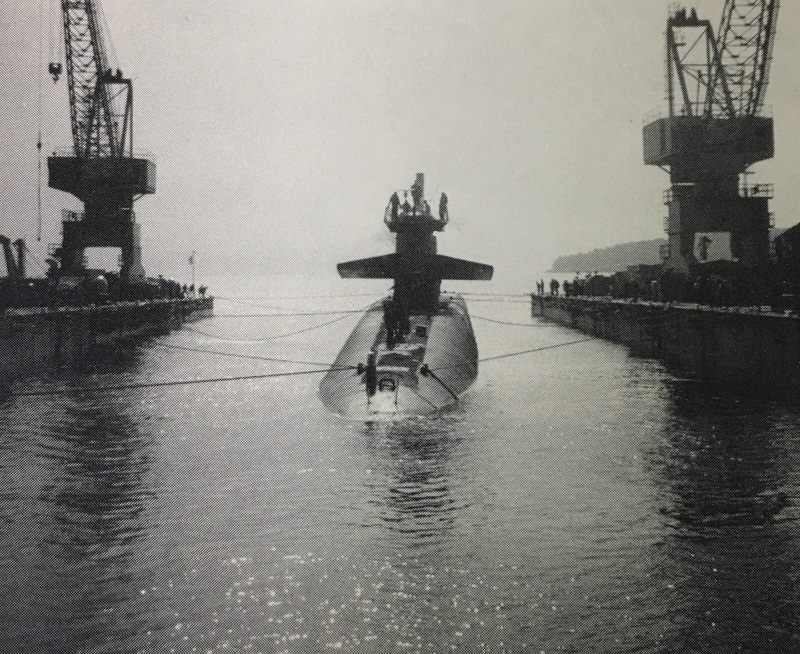 When the new Polaris submarine program was introduced, the need for a portable servicing facility was determined. In this case, a small body of water on the west coast of Scotland was deemed suitable. For that reason, the Site One base in Holy Loch was created. 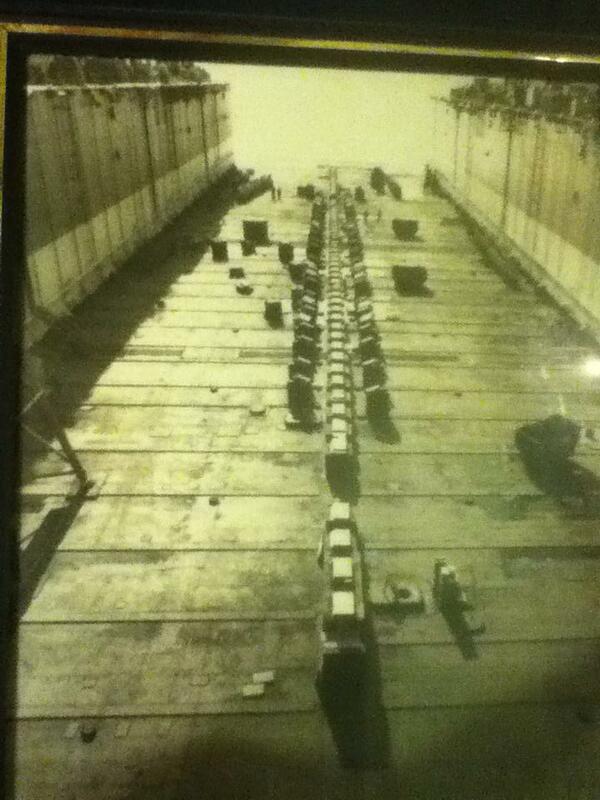 Four sections of the dock were towed to the Loch and assembled by Seabees. That dock commenced operation within a short period of time and did hundreds of routine and emergency dockings over the next thirty years. When a ship or submarine is designed, it comes with plans for building and plans for docking as the need arises. 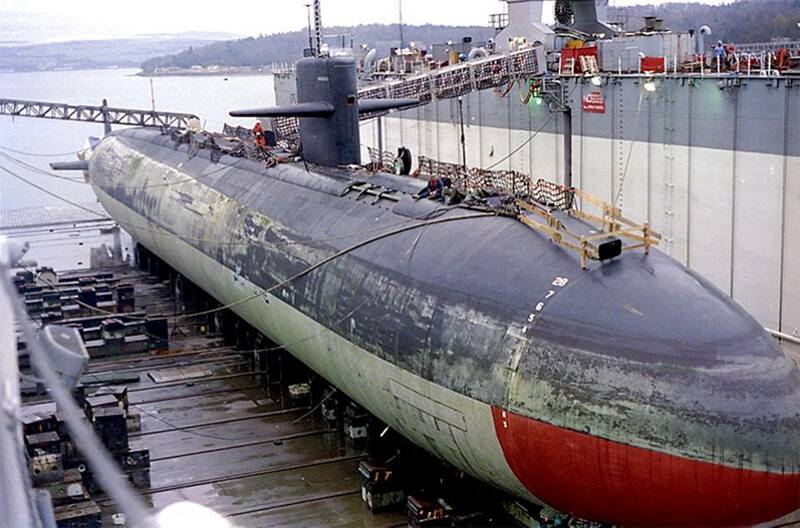 The submarines that Los Alamos had been designed to support were built at the same time and after she was reactivated. SO needless to say, they plans we had for each boat were really worn and aged by the time I reported on board. The Navy had sent me to Connecticut to train on a dock that was a lot more modern and not a sectional dock. But the principles remained the same. You had to understand weights and measures, metacentric heights, and the importance of the build. Each build is slightly different, even on the same class of boats. Some had different equipment, some had seawater openings in different places and all had to be examined carefully in order not to damage the boat when you land it. Most importantly, all of the calculations for block heights had to be precise. Then you had to have a plan on how to land the boats exactly where you built the blocks. The time needed to create a build plan was at least a week. You take the old plan and verify that no changes have occurred. Then you painstakingly set up the height measures for each of the wooden blocks that will be built. The carpenter shop then cuts each block to your specification and prepares them to mount on the base blocks. You also need to calculate the measurements for the side blocks that will be shifted in place to prevent the boat from accidently rolling over. There is little room for error. These wooden blocks are designed to crush with the weight but they have a designed factor that allows for uniform crush. Once the calculations are complete, the build begins. 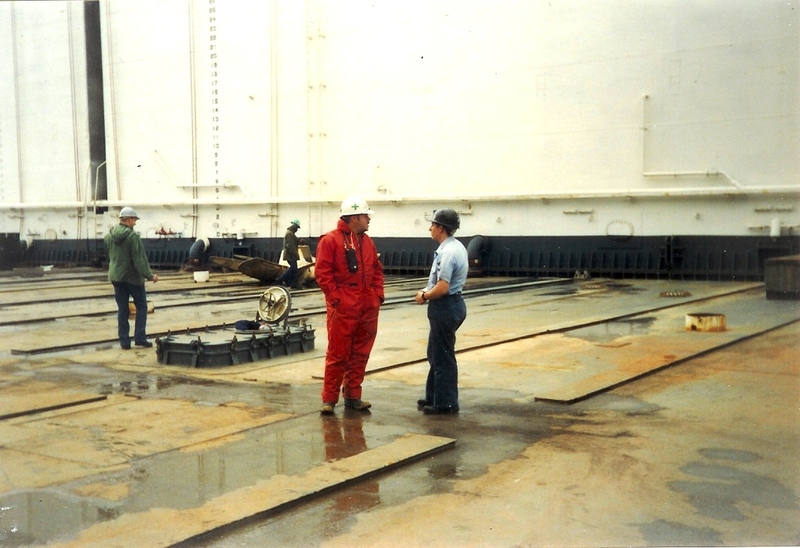 Men and women from the docking department work day and night alongside the deck division to place the blocks and caps in their proper place. The last step is when the Docking Officer personally measures each part of the build and certifies it. All of this work occurs in a variety of weather. All year long. In Scotland, that can mean anything from freezing rain to blinding snow storms. The schedule rarely was interrupted by weather. Many times the boat needed more than a routine repair so we just did what we did. The day comes when all is ready and the floating drydock submerges in place. You do that by flooding the dock down until it is low enough to accept the submarine or ship that is waiting to cross her brow on the open end. The Captain and Docking Officer are on the Flying Bridge opposite of the open end and everyone on the dock is in place ready to receive the ship. 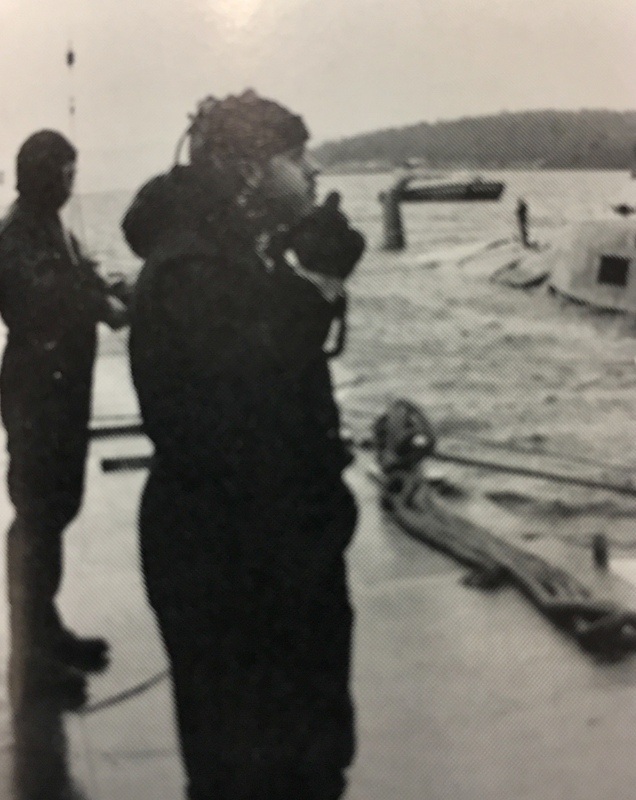 When the nose of the submarine enters the dock area, the Docking Officer becomes legally responsible for the safety of the unit. It means bringing her in safe and not scraping the walls, setting her down correctly with having it fall over, and ensuring that this multi-million dollar warship will be safely landed and able to be restored to fighting condition in a few weeks. March 15, 1991 was my qualification docking. 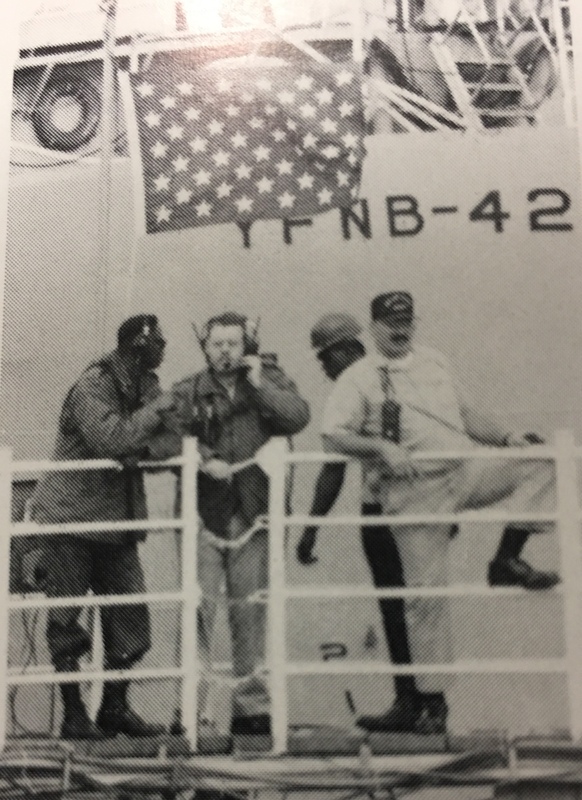 It was an incredible feeling to finally land the boat and the tugboat that we landed at the same time (two units at once was pretty common for the Los Alamos). It was the longest day of my life and certainly one filled with exciting things no one had planned. The docking took a little longer and while we were bringing the boats in a sudden squall appeared. That wind tried to knock our two charges all over the dock before we could land them. But the crew of the dock did a marvelous job. A party had been planned by the wives for the event over at our house on shore. Since the docking was delayed about eight hours, the party started without us, But when we finally finished, the crew assembled at my house and we commenced a celebration for the ages. It did not end until the next morning. Most of us had to go back to work and believe me there were a few hurting sailors and officers that day. But it was a successful landing and that meant the world to me. To have a good build, you have to have a good crew. I was honored to have some of the best people I have ever worked with on that dock. 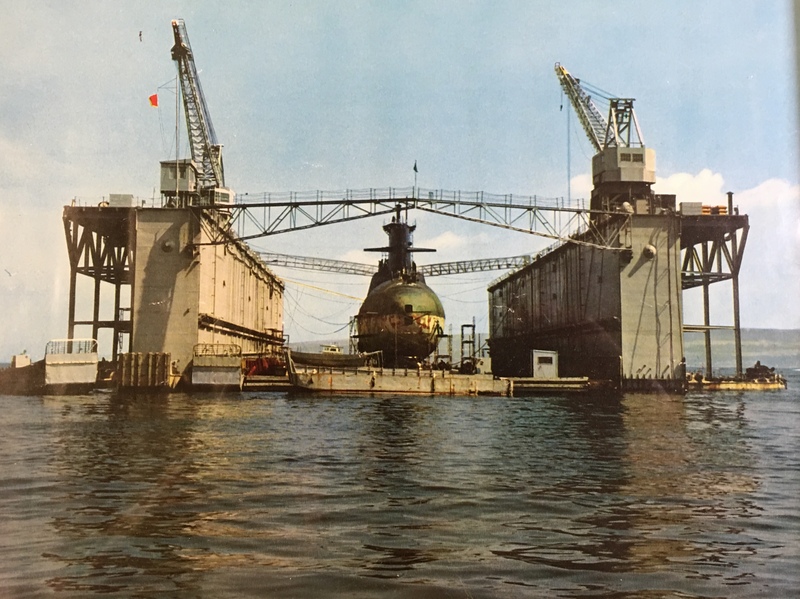 The engineers that originally designed the sectional floating drydocks would have had no way to foresee the impact of their design on future operations. The first atomic power plant was not even commissioned until 1948. But the core principles of safely docking a vessel stand the test of time. I salute all of the unsung heroes of the Cold War that operated in the worst conditions of all but helped protect America from those who wanted to destroy her. Another Great Article Mister MAC !!! I’ve learned a lot about you since you first posted my article about the AFDB-7 Los Alamos on April 4, 2014. But this article gave me much more about your tour on the AFDB-7. Thanks for all the great articles since then. YOU MAY WANT TO READ THE STORY ABOUT HOW THE SEABEES ERECTED THIS WWII leftover into the history books for 30 YEARS OF SERVICE FOR THE MOST POWERFUL SUBMARINES IN THE WORLD. In the upper right hand corner of the blog, enter AFDB-7 “IN THE BEGINNING” and it will take you to my article.